Opana vs Oxycodone: Is Opana Stronger Than Oxycodone? If you are taking one of these medications, then you may want to know “Which one is stronger?” To answer this, we analyzed some study results. Continue reading to find your answer on this comparison, Opana vs Oxycodone. Opana is an opiate painkiller that contains Hydromorphone. It treats moderate to severe pain by altering the pain sensations in the brain. The extended-release preparation Opana ER provides a continuous pain relief. So, it is a good choice for chronic pain management. Standard pills are effective to treat an event of severe pain. They call this rescue medication. Oxycodone is a powerful pain medication. It belongs to a class of pain medications known as opiates or narcotics. Opioids act on the CNS where they modify the pain signals from various parts of the body. Available forms are extended-release tablets/capsules. Also, you can get the conventional pills. It treats moderate to severe pain. Opana vs Oxycodone: Which Is Stronger? Well, it is not an easy question to answer. Both these medications are very powerful. Also, they belong to the same class of pain medications. For these reasons, the patients and their caretakers often have this question in mind. Opana may be stronger than Oxycodone because it requires the lower amount to produce a comparable pain relief. Opana ER has a more flexible dosing schedule which might attract some patients who are currently taking Oxycodone CR. 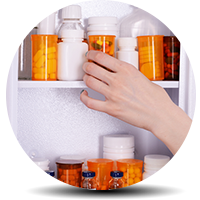 It is a good practice to learn more about the medications that you are taking. We should first know the parameters for the comparison. Then only, we can say one medication may be better than another. So let’s find the settings for Opana vs. Oxycodone comparison. Then a clear picture will emerge. Time to produce pain relief. Opana is more fat soluble than Oxycodone. That said, it reaches the brain faster. As a result, you get a more rapid pain relief. If this is the parameter for comparing the strength, then It seems like a winner now. The ratio of the doses required to produce an equivalent pain relief. They call this equianalgesic dose. Studies suggest the equianalgesic dose of Oxycodone CR on Opana ER is 2:1. What does this mean? It means Opana in half the Oxycodone dose produces the similar effects. Opana is stronger than Oxycodone. In fact, it is even more potent than the parent medication Morphine. Only an experienced doctor should calculate the equianalgesic dose. In the same way, you should not take this information as a substitution for your doctor’s advice. Take care not to think Opana is two times stronger than Oxycodone because of the ratio. Medical calculations are more than pure mathematics. The degree of pain. For acute pain, they recommend Oxycodone if it is of moderate intensity. But, they use Opana when the pain is severe. In fact, this article ascertains that it has a higher potency than Oxycodone. There are no head-to-head studies that can declare a winner in the war Opana vs. Oxycodone. In fact, it is not a war. It is a simple comparison of the drug potency. You should know that individual response to a medication may vary. Particularly, this is more familiar with an opiate therapy. Thus, you should not generalize any health information. In a nutshell, you are unique and so is your pain. Only your doctor can decide which medication is better for your health needs. Patients need to take a lower dose of Opana ER. For this reason, it may be a more cost-effective alternative to Oxycodone CR. Opana ER produces fewer side effects than Oxycodone CR. When they take an equianalgesic dose, Opana ER causes fewer problems with memory and focus. Also, a lower degree of sedation. Being opiates, both of them are very addictive. They may cause a physiological dependence. Besides, the risk increases with long-term use. Talk to the experts to find out more about Opana vs. Oxycodone. In fact, they are one of the very few trusted sources of any health or medical information you want. Is your loved one struggling with an addiction problem? Seek a professional help right now. Addiction centers are equipped with every resource to help someone with an addiction. They have qualified medical professionals and individualized addiction treatment plans. Also, they have the provisions for auxiliary care. With the right treatment, you can expect a complete recovery. Find out more about rehabs on this page. Addiction Resource » Addictive Substances: The Anatomy of Drug Addiction » Opana – Abuse Symptoms, Side Effects, Treatment, and More » Opana vs Oxycodone: Is Opana Stronger Than Oxycodone?